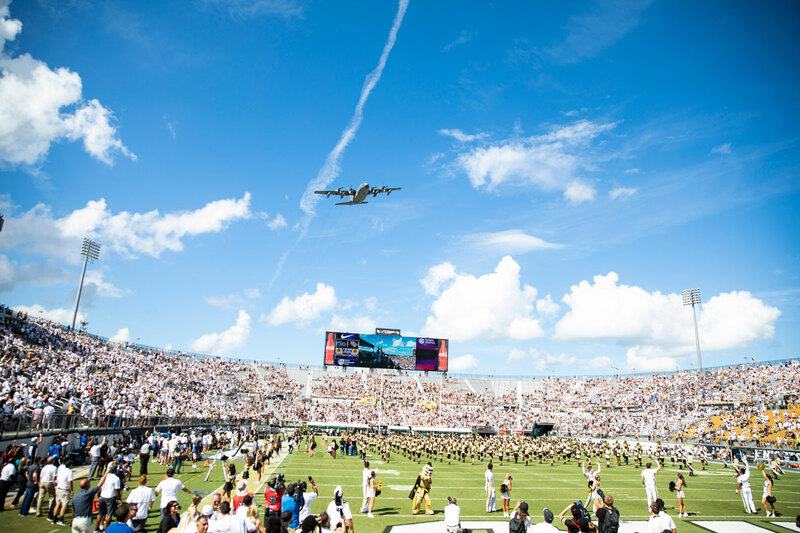 1The U.S. Air Force treated Knights fans to a fly over before kickoff. 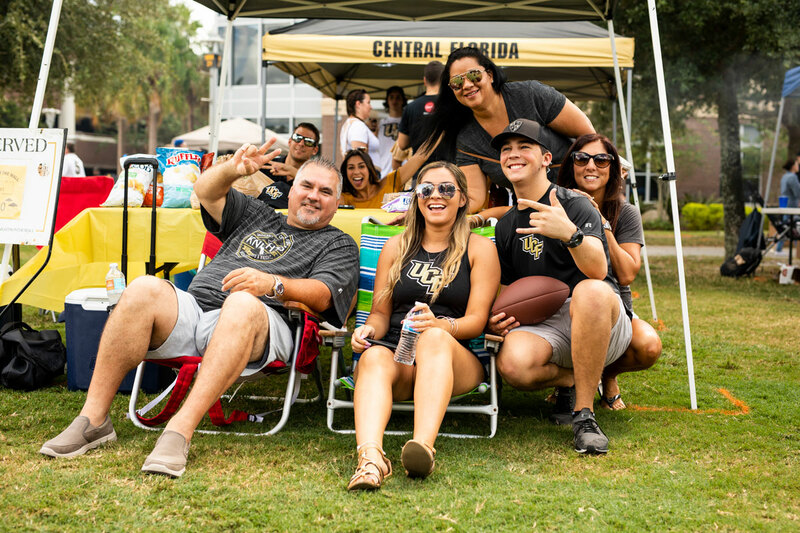 2UCF held its annual Family Weekend. 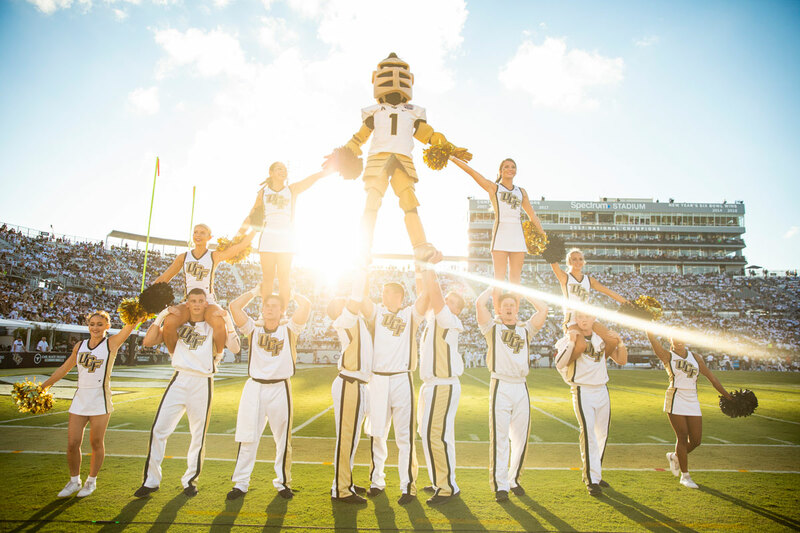 3Limbitless Solutions hosted a takeover of the UCF Alumni Indoor Tailgate. 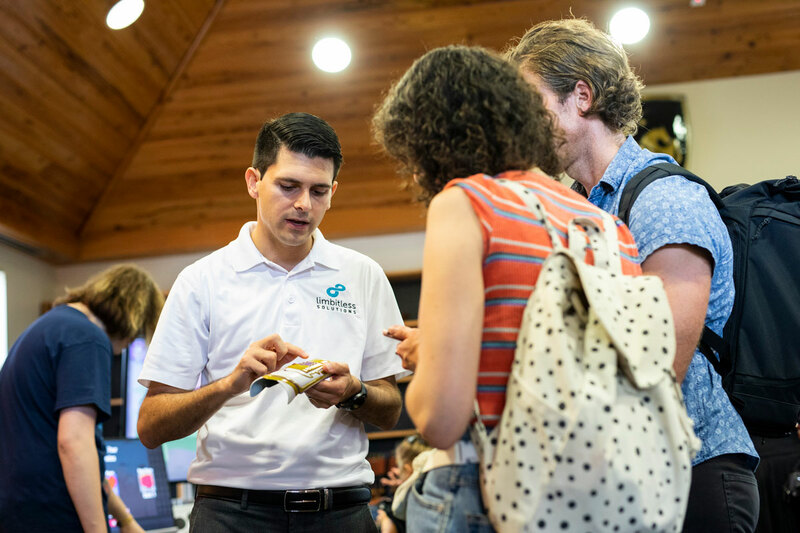 Co-founder Albert Manero ’12 ’14MS ’16PhD (left) shows fans the newest iteration of the 3D-printed bionic arm design. 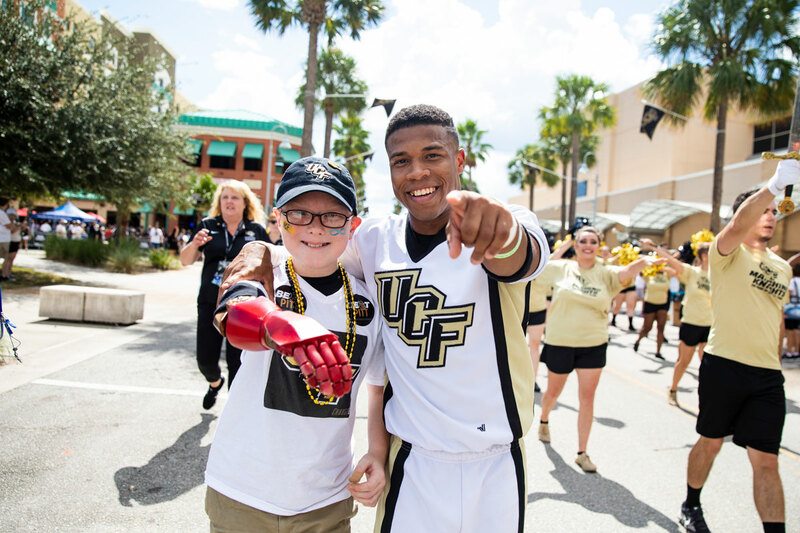 4Original Limbitless kid Alex Pring, whose Iron Man arm sparked a viral video with Robert Downey Jr. in 2016, joined in the March to Victory with UCF's spirit team. 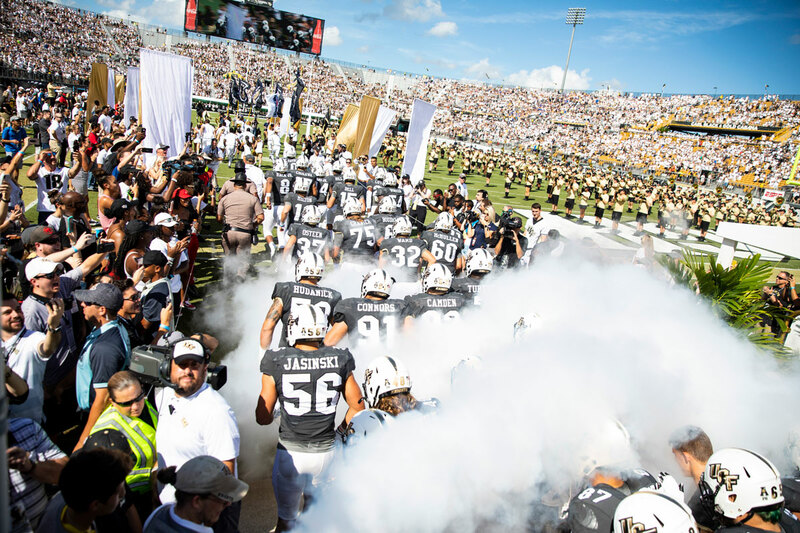 5UCF's KnightMoves continued to keep spirits high among the sold out stadium. 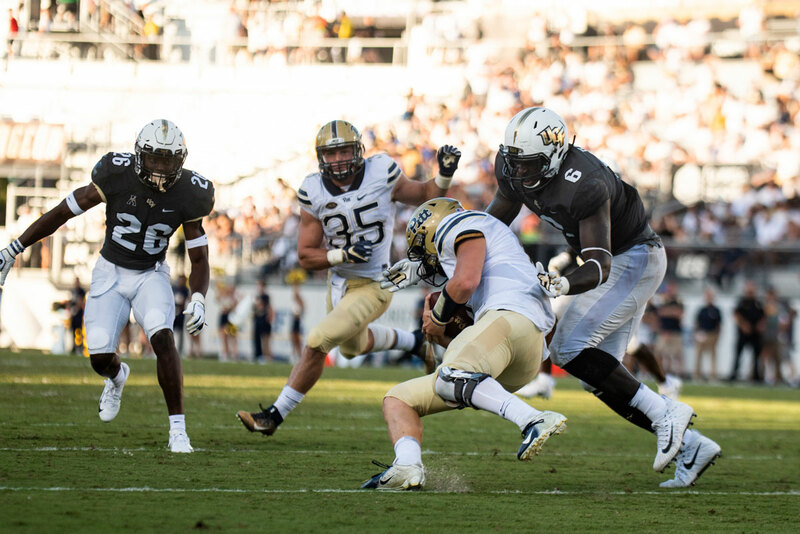 7UCF's defense held Pitt scoreless on offense for 55 of the game's 60 minutes. 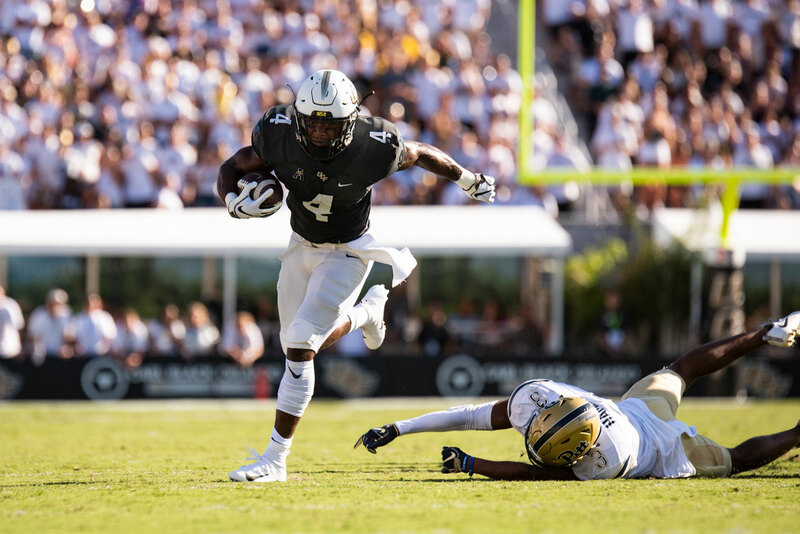 8UCF running back Taj McGowan tallied five rushes against Pitt. 9The Knights' victory against Pitt marked the program's 10th-straight win at home. 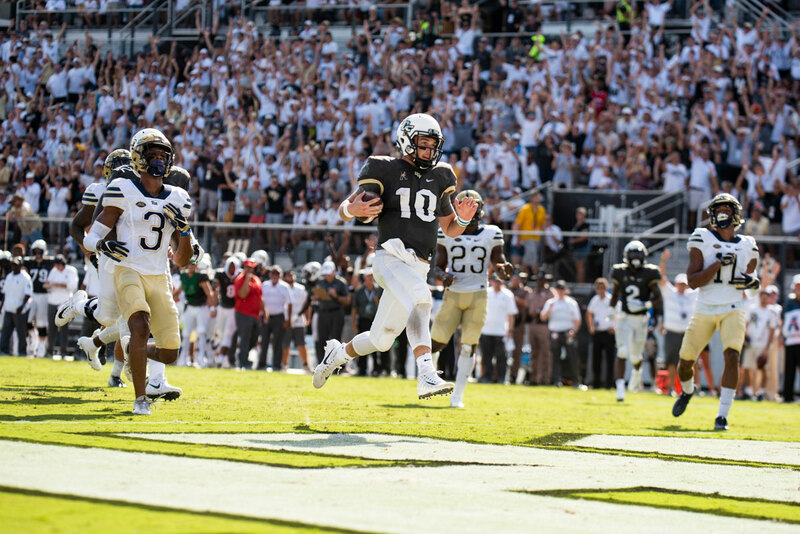 10Quarterback McKenzie Milton was named the American Athletic Conference's Offensive Player of the Week for the second week in a row and third time this season following the game. 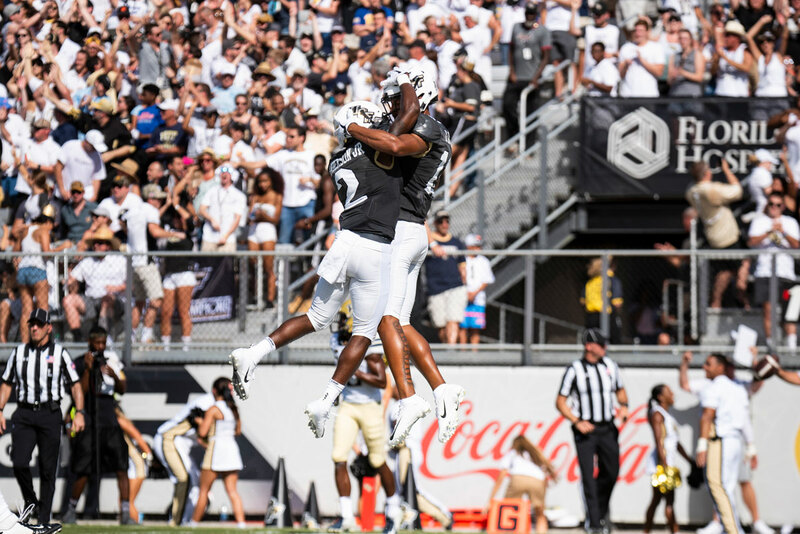 11With the win, the UCF football team moved up one spot in the national polls to No. 12.